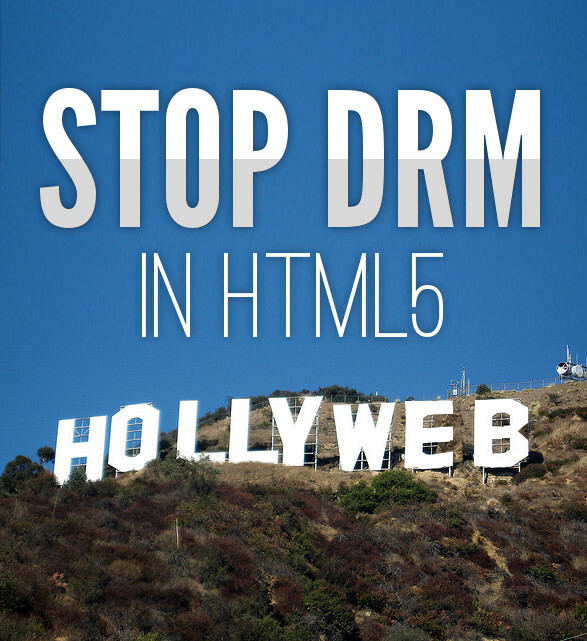 defectivebydesign.org is organization a petition against DRM in HTML5. With some 16.000 already signed up, the goal is to reach 50.000 by 3 May which marks International Day Against DRM. It is interesting to see how blatantly they single out American content “owners” as the proponents of this scheme. Maybe it’s time to call for a full-out boycott of their content? Also interesting is a an overview of the arguments against DRM, over at the Free Culture Foundation blog.